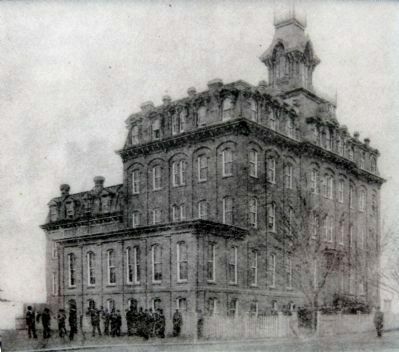 Wayland Seminary opened in Foggy Bottom just after the Civil War to train formerly enslaved people and others as “preachers and teachers for the South” and as missionaries to evangelize Africa. In 1875 it moved here, later merging with Richmond Theological Seminary to become Virginia Union University in Richmond. 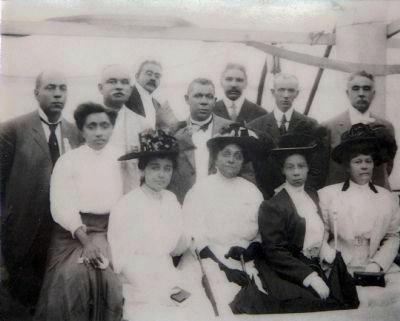 Among Wayland’s distinguished alumni was Booker T. Washington. 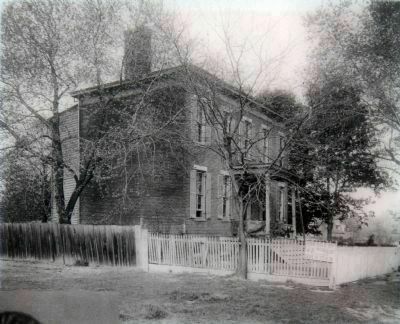 Some 24 years before Wayland Seminary’s arrival, landowner Col. Gilbert Livingston Thompson and his wife, Mary Ann Tolley Thompson, attended, attended a Prince George’s County slave auction and purchased Emily Saunders Plummer and three of her children to serve them here. After Emancipation, Plummer’s son Henry returned to attend Wayland Seminary. "Wayland Seminary's 1886 graduating class. 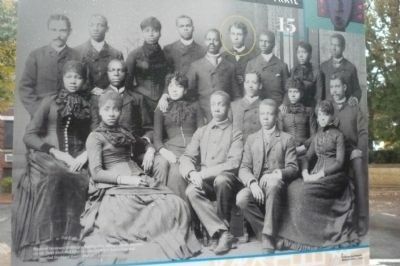 William James Howard, circled, later pastored Zion Baptist Church in Southwest and co-founded Stoddard Baptist Home." 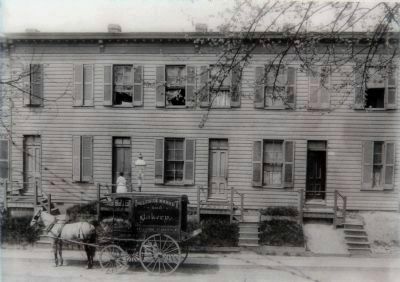 During the Civil War, it was used as a hospital. 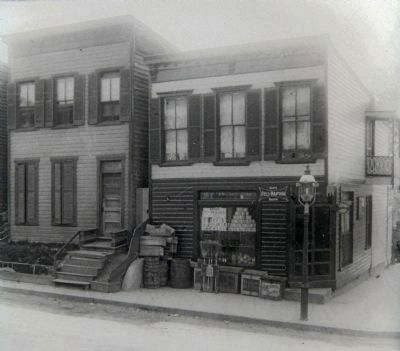 By the 1870s, Thompson’s land was subdivided into building lots, and a working-class community of mostly African Americans developed. 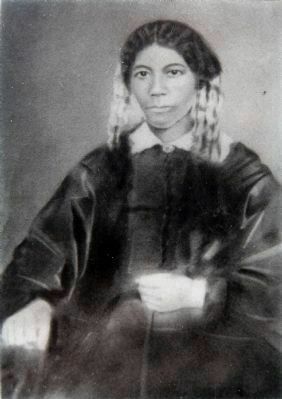 “Residents depended entirely upon wells and the rain barrel for water,” wrote local historian John Clagett Proctor, who lived nearby after the Civil War. 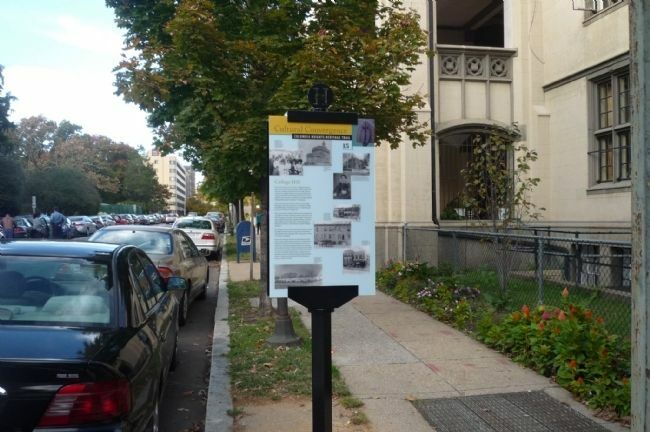 “There were no streets or sidewalks.” Around 1912 the federal government forced the residents out and razed their houses to make way for Meridian Hill Park (later also known as Malcolm X Park). Location. 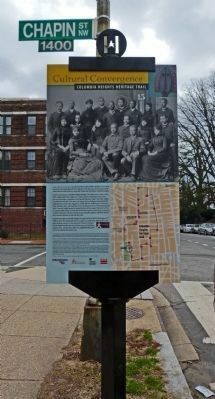 38° 55.29′ N, 77° 2.109′ W. Marker is in Columbia Heights, District of Columbia, in Washington. Marker is at the intersection of 15th Street Northwest and Chapin Street Northwest, on the right when traveling north on 15th Street Northwest. Touch for map. Marker is in this post office area: Washington DC 20009, United States of America. Touch for directions. Other nearby markers. At least 8 other markers are within walking distance of this marker. An American Meridian (within shouting distance of this marker); Visionary and Park Champion (about 300 feet away, measured in a direct line); Creating the "City Beautiful"
across the street from Meridian Hill/Malcolm X Park. (about 300 feet away); Design Challenges (about 300 feet away); Park Designers (about 300 feet away); Art for the People (about 300 feet away); Washington Meridian (was about 300 feet away but has been reported missing. ); Mansions, Parks, and People (about 300 feet away). 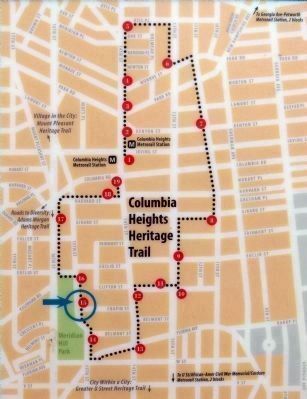 Touch for a list and map of all markers in Columbia Heights. Union army hospital tents spread out alongside Columbian College during the Civil War. Additional keywords. Reconstruction; Chaplain Henry Vinton Plummer, U.S. Army. 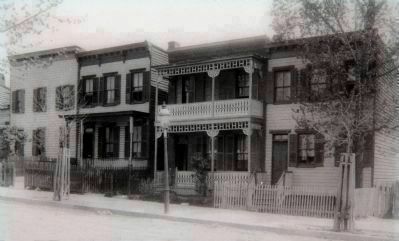 These houses on Euclid Street were torn down in 1912 for the park. More. 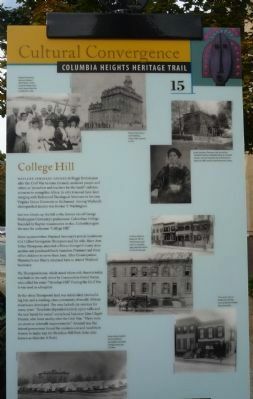 Search the internet for College Hill. Credits. This page was last revised on March 18, 2019. This page originally submitted on October 26, 2009, by Richard E. Miller of Oxon Hill, Maryland. This page has been viewed 2,033 times since then and 11 times this year. Last updated on March 7, 2019, by Devry Becker Jones of Washington, District of Columbia. Photos: 1, 2, 3. submitted on October 26, 2009, by Richard E. Miller of Oxon Hill, Maryland. 4, 5, 6, 7, 8, 9. submitted on March 16, 2013, by Allen C. Browne of Silver Spring, Maryland. 10. submitted on March 17, 2013, by Allen C. Browne of Silver Spring, Maryland. 11, 12, 13. submitted on March 16, 2013, by Allen C. Browne of Silver Spring, Maryland. • Bill Pfingsten was the editor who published this page.